Sustainable Holdings Inc. today introduced My Eco House®, a groundbreaking, newly holistic approach to residential green building. This innovative integration of technologies will produce high-performance homes that reduce homeowners' energy consumption by 70 percent, improve indoor air quality and significantly reduce carbon footprint. Utilizing the Sustainable Holdings patented WalKor® track and panel building system, the My Eco House® system combines the use of first-class, proven eco-friendly technologies in an unprecedented way. As the foundational element and exterior walls of all My Eco House® homes, WalKor® enables fully integrated functionality that would not be possible without it. From studs to finishes, all components of My Eco House® work harmoniously to support conservation, fight off external environmental harms and empower change in resident behavior. "At Sustainable Holdings Inc. we are dedicated to 'building a better box'," said CEO Alex H. Edwards III. "By this, we mean looking at the framework of residential building in a completely different way – a way that that makes the human right to live a healthy and sustainable life an attainable reality for all Americans. The introduction of My Eco House® to the marketplace presents a cost-effective solution to building exceptional energy-efficient homes, and we are proud to begin the movement towards dispelling the notion that achieving a sustainable lifestyle is too expensive." 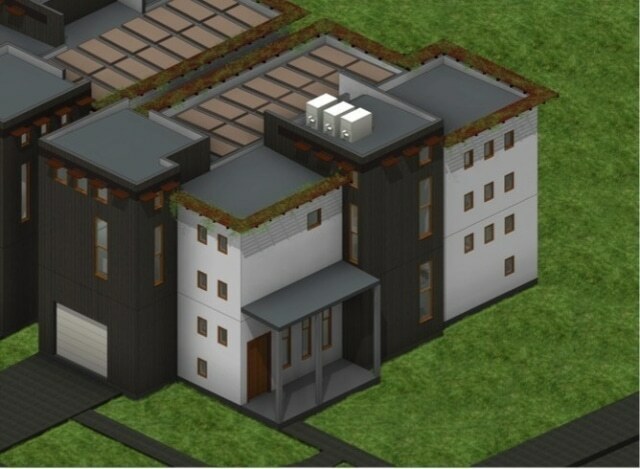 Additionally, My Eco House® provides a patented, sustainable building model that can be replicated by builders and architects nationwide, allowing homeowners across the country the chance to own an affordable and durable home that helps them achieve effortless sustainable and healthy living. The construction of My Eco House® homes in the United States will begin within the next 30 days, as Sustainable Holdings Inc. begins the journey to build fully sustainable communities nationwide and complete 100 homes this year. For more information about Sustainable Holdings Inc., please visit www.sustainableholdingsinc.com.